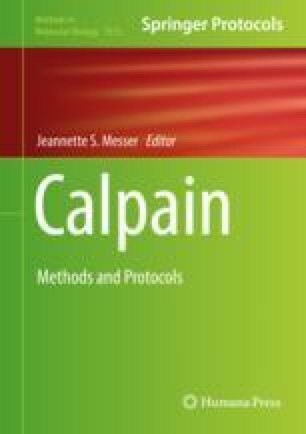 The calpain activity in cells can be experimentally manipulated in vitro by calpain inhibitors, and various types of calpain inhibitors such as peptide aldehydes and α-mercapto-acrylic acid derivatives are widely used as a valuable tool to elucidate the physiological and pathological roles of calpain. Here I describe the experimental procedures with calpain inhibitors, with human neutrophils being primarily used in this experiment. It should be noted that potent calpain inhibitors not only inhibit the calpain activity but also stimulate cell functions via direct activation of human formyl peptide receptors and/or other G protein-coupled receptors depending on the inhibitors used.